Time for the first results post of 2014! 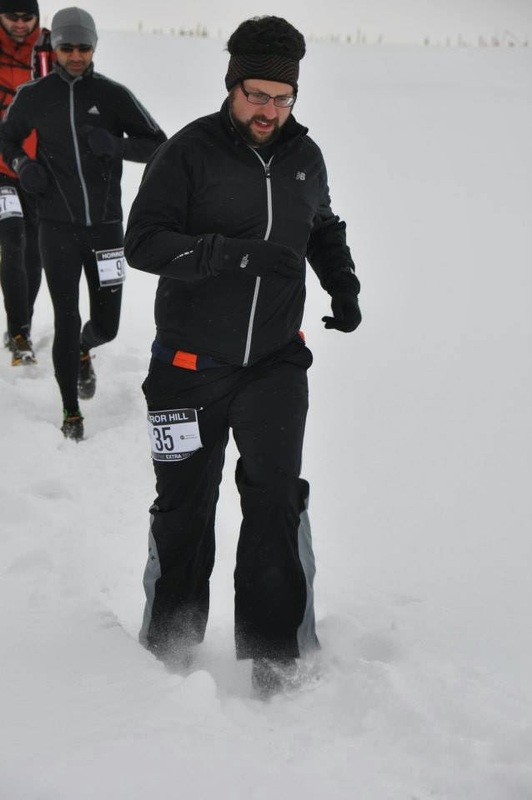 First up, the team had a great performance at the Frosty Trail Race. In the 6 hour, Vicki (aka VZ, aka V-Zizzle) had an amazing performance. 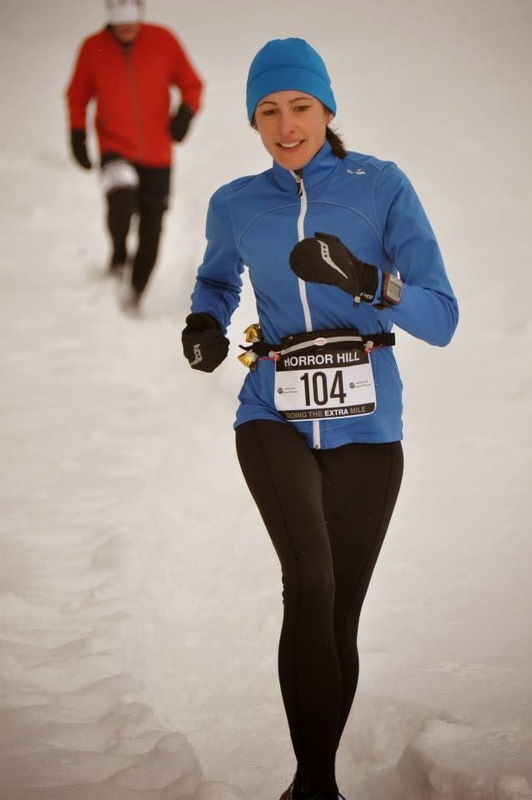 She put her consistent high-mileage training to work and ended up placing 4th overall, running over 40K in the snowy, soupy mess that the trails had become. Dave Rutherford, the Frosty Trail vet, had an outstanding performance in the 3 hour. 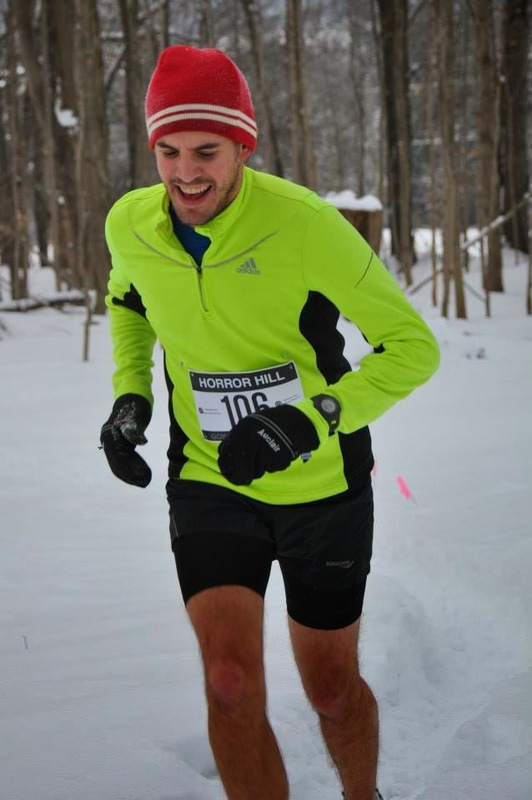 He tore through the snow on his way to place 2nd overall, and running well over 20K. Will had an awesome 2014 debut as a Health and Performance athlete. 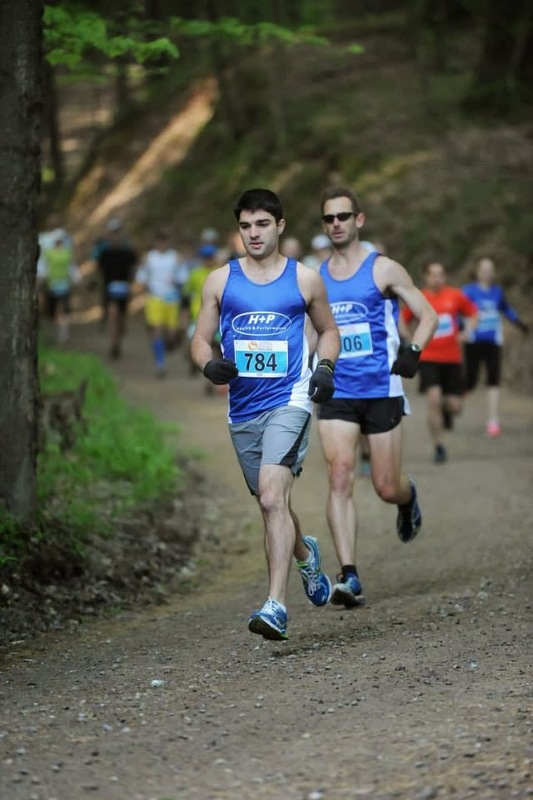 Despite a busy schedule filled with work and becoming a new dad, he still competed hard and ran a very respectable 14.1K through very tough trails. Jordan represented the team quite well in the 1-hour event. He ripped up the trails, finishing in 2nd place overall, and more importantly, kept the dream alive by wearing shorts! 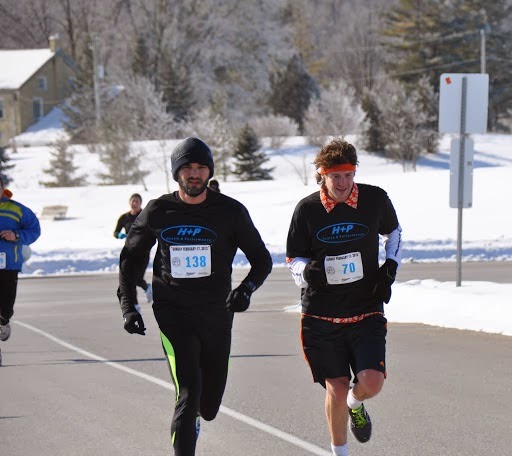 A far cry from the snowy trails some of our athletes competed in this past weekend, we also had two athletes competing in the warmth of Arizona at the Rock 'n' Roll marathon. Tracy had one of her best performances in years, running just under 3:34 for the marathon, comfortably qualifying her for the Boston Marathon! Alain also had a great marathon, coming in with a final time of 3:05! 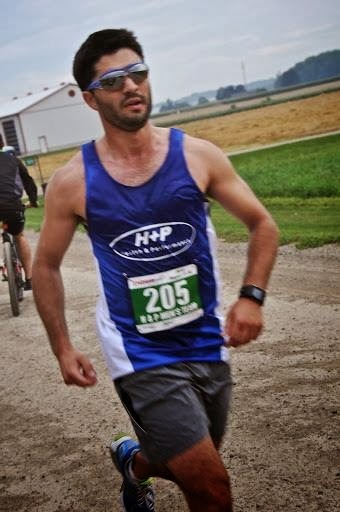 He's competitive, he's driven, he's hungry for more....he's H+P's very own Italian Stallion. In today's edition of H+P Spotlight, we talked to Mike Piazza. H+P: You have seen some huge improvements over the last few years, including taking almost 20 minutes off your half marathon. What were the big changes in your training that lead to this development? to run with now makes them enjoyable. H+P: What recent race results are you most-satisfied with? What happened at these events? 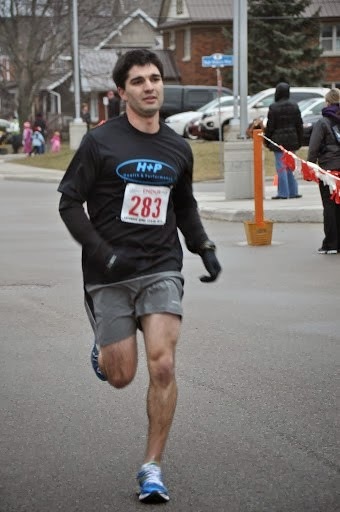 MP: The race result that I am most-satisfied with would have to be the Nutrience Oakville Half Marathon last fall. I felt going into this race that I was at the peak of my training for the season. Leading up to the race I wasn’t sure if I was going to taper before it or use the race as a training run for my full marathon the following month. I ended up cutting back my mileage slightly that week and doing my usual race prep for the couple days leading up to the race. I also focused a lot on my nutrition for the week and couple days before the race. The race itself could not have gone better for me. It was a chilly morning and I had told myself I would go out at a comfortable pace and then see how I felt when I hit the only real hill at the 7km mark, instead of going out hard the first couple kms like I usually do. When I got to the hill I felt great and pushed the pace up it a little bit and then kept it steady the rest of the race. Coming into the last km I could see a few other runners in reach and I told myself I would catch them. I ended up finishing with a sprint finish, passing those couple runners, and a low 1:26, which was a personal best by 16 minutes. I felt I gave everything I had during that race and I was very satisfied when I checked my splits after and saw that they were consistent. H+P: You are currently pursuing a PhD in biochem. Does your background in science help you with training and other components to running performance? How so? to fuel your body and how to maintain your energy through a long race has certainly helped me become better. Also my strong background in research that I have acquired through my studies has been quite beneficial. Its helped in reading through various articles on running training and nutrition and being able to understand what is correct or not. H+P: Anybody who knows you well is certainly aware that you are a competitive person- where does this drive come from? MP: I think this stems from always wanting to be the best, haha. Growing up playing sports I always had a competitive nature and I always wanted to win. These days that competiveness has transferred to all aspects of my life. I like to think that if someone else can do something I can also. Translating this over to running makes me work harder, whether it’s during a race or a practice, I’m always competing against the person running alongside me. I think this competitive nature improves my running ability and makes me faster. Plus a little competition never hurt anyone. 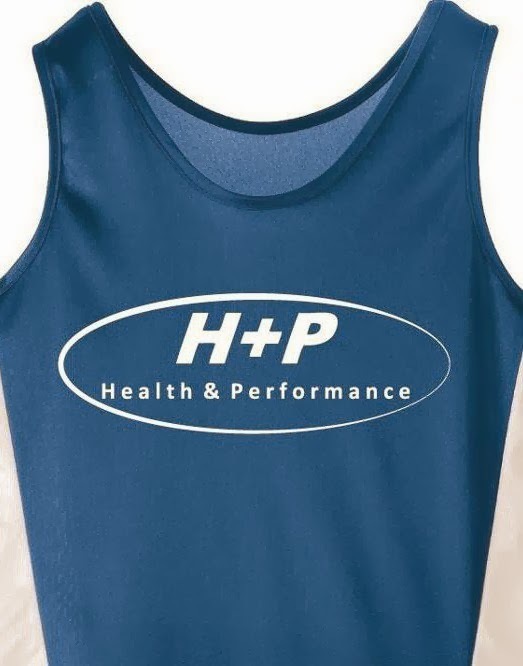 H+P: Outside of competition, what else motivates you to keep training so hard day in and day out? MP: The biggest thing would have to be the feeling I get after a hard interval practice or long run. Not many things are better than the runners high I get after that. Running has also helped me get into pretty good shape, and I want to stay that way, haha. H+P: We also know that you used to be involved with competitive running in your highschool days. What forces dragged you away from the sport, and then what eventually brought you back? 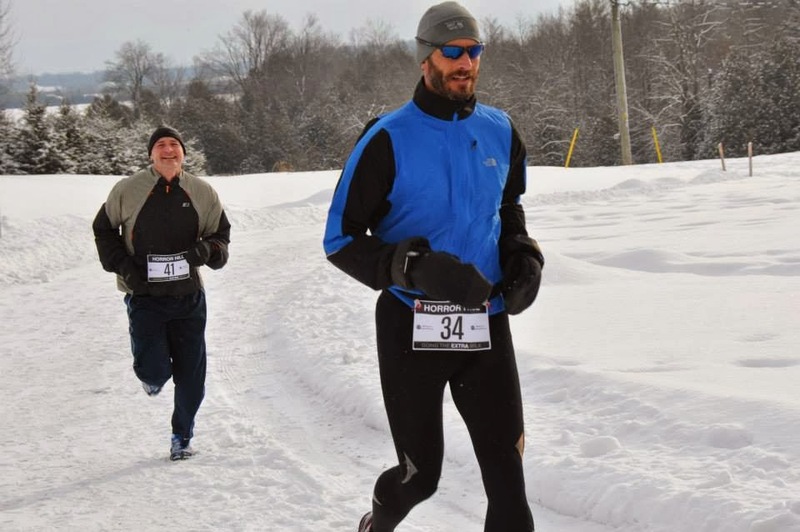 MP: I ran cross country first year university also and then that winter I had a bad knee injury while playing hockey which left me unable to run for about 5 months. After taking that time off it was tough to get back into running on my own, while also having fun in school. I would always run on my own but nothing serious or competitive. I got more serious about running when a few of my good friends from home asked if I wanted to train for a marathon with them in 2010. After having an absolutely terrible run I decided I wanted to get back into running more serious. Also being able to run as part of a group and having others motivate you to run on days where you just don’t feel like going out has helped immensely. H+P: It must have been a long road working back into a level of running fitness you were happy with- describe that process. 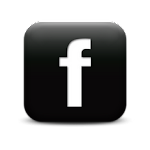 What helped you fight through those tough times to get where you are now? MP: It has been a long road back and I feel like I’m almost where I used to be. Mind you back when I was running competitively in high school I had faster 5 and 10km times but I don’t think I could run the longer races like I do now which are what I really enjoy. Knowing in the back of my mind that I had run like that before and with enough hard work I could get there again has been a big factor in helping through some tough times. And of course being pushed by others in the group and racing with friends has helped a lot. H+P: What personal best(s) are you most focused on taking down? Are those races in the plans for next year? 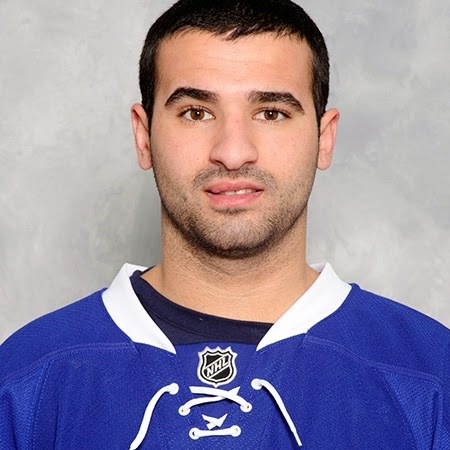 H+P: What's it like being Nazem Kadri's older brother? MP: Haha, I have gotten this quite a bit. I don’t know if it’s because people know I play hockey and am a Leafs fan or if I do look like him. Whatever the reason, hearing the comments have been a lot of fun.